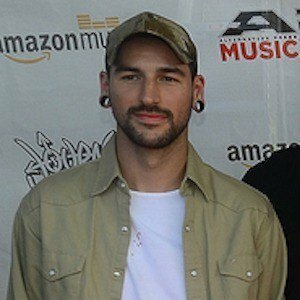 Unclean vocalist for the metalcore band Issues who is sometimes known by the name therettes due to his affliction with Tourette Syndrome. He was previously a vocalist with the metalcore band Woe, Is Me from 2009 until 2012. As of 2014, he was performing in Issues alongside Tyler Carter, AJ Rebollo, Ty Acord, Skyler Acord, and Josh Manuel. He is from Atlanta, Georgia. He performed with Tyler Carter, Ben Ferris, and Cory Ferris in both Woe, Is Me and Issues.